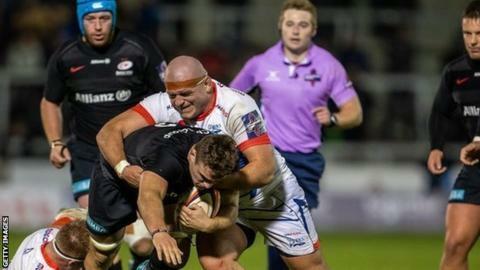 Sale Sharks have announced that prop Alexandru Tarus will leave at the end of the season. The Romania international, 29, is moving to Italian side Zebre Rugby. Tarus, who joined the club two years ago, has made 29 appearances for Sale, scoring one try. He was presented with the Sale Sharks Community Player of the Year Award last season for holding walking rugby sessions with over-50s around the north west region. Sale Sharks director of rugby Steve Diamond said: "Alex has been a great lad to have around and we wish him every success in the future. "I am sure he will be a great asset to Zebre in the Pro 14." Tarus has won 33 caps for his country.